One of my favourite science fiction shows is the short-lived Firefly series by Joss Whedon. The show is particularly interesting to me because it features bits and pieces of Chinese language and culture. 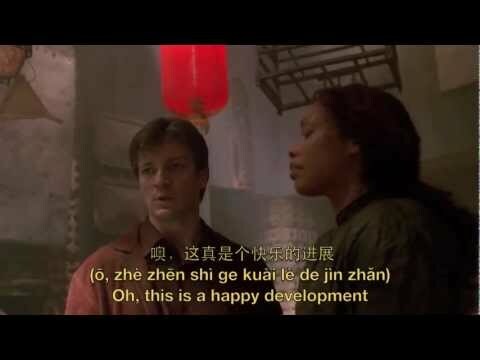 Below is a bit of an overview of Chinese in Firefly. 宁静 (níng jìng) means “Serenity”, which is the name of the Firefly-class ship in the show. The premise of the show is that the USA and China became co-superpowers. When humanity became a space-faring race, the two cultures merged strongly. English and Mandarin are both spoken by most people. Obviously, for the purposes of the intended audience, virtually all dialog is in English. People sometimes speak a small amount of Mandarin when the meaning can be understood by the audience in context (usually when they’re cursing colourfully). There are some parts where full sentences are spoken, usually by high society in formal situations (this was subtitled). It reminds me of how French was used by highly educated English speakers generations ago (and by the less educated when swearing). 靑日 (qīng rì) “blue sun”, or maybe “green sun”? Whilst the actors in the show are great, their spoken Chinese left much to be desired. For the most part it was completely unintelligible (I confirmed this with a Taiwanese friend). I suspect the content of what they were saying was good but that they had no speaking coach on set with them to correct their pronunciation. They also have many signs in Chinese and some (non-Asian looking) people wearing Chinese-style clothing (e.g. a 旗袍). 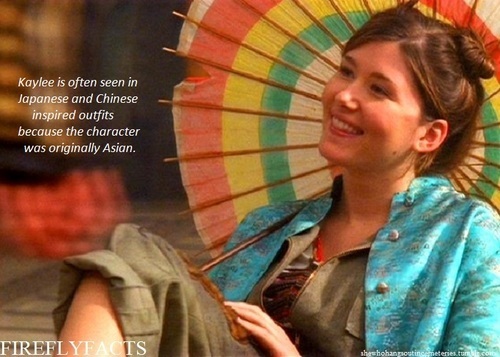 Notably there are no major characters in the show of Asian descent, which is a shame. Unfortunately the show lasted only one season before being cancelled. 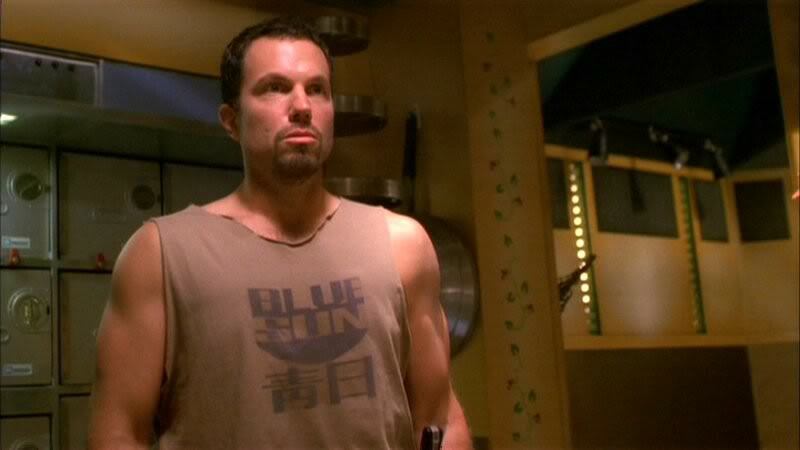 However, it had such a strong following that they ended up doing a movie some years later called Serenity. Notably, the small amount of spoken Chinese in the movie had much better pronunciation. They had a larger budget so I think they must have had a speaking coach this time! I really liked seeing a show that recognises the growing global influence of Chinese culture. Whether you’re a fan of this aspect or not, if you’re a fan of sci-fi at all Firefly is a must-watch! FireflyChinese.com – Many video snippets of Chinese being used in the show, including word break-downs and an analysis of how well it was pronounced. 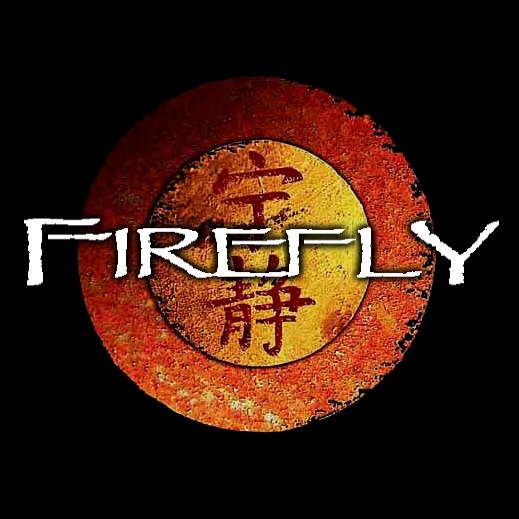 Firefly-Serenity Chinese Pinyinary – Detailed information about pretty much every bit of Chinese used in the series and movie. Firefly timeline – A very detailed timeline of everything known about Firefly lore.